How to Beat the Post Vacation Blues #AtoZChallenge - A Rose Is A Rose Is A Rose! You have relaxed and daydreamed on a sunny beach or spent a day hiking somewhere outside the city. You might have had an enriching time visiting the museums or roughed it out in the wilderness or dived into the deepest caves on your vacations. And then, in a sudden jolt, all this bliss, euphoria and happiness is snatched away. Regular life, alarm clock, traffic jams, office work comes back in life and you have difficulty in accepting the reality. The feelings of hopelessness and sadness engulf you. 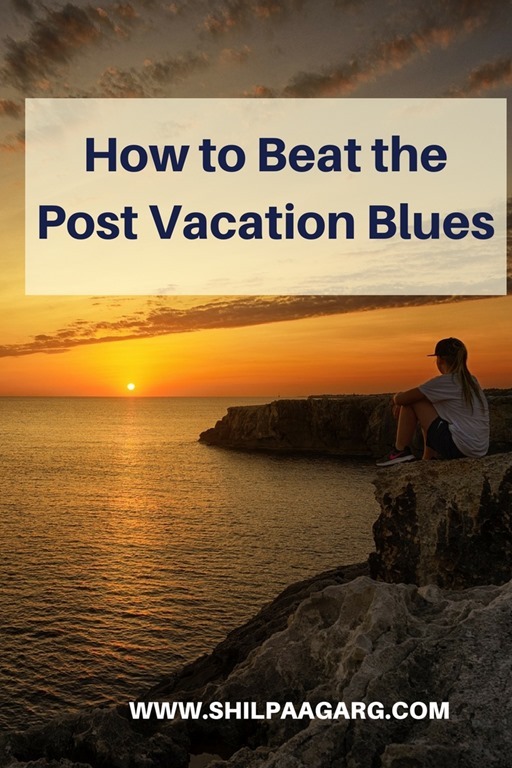 Well, you may be suffering from post vacation blues or post travel depression. It is a type of depressed and anxious mood that holidaymakers often experience when returning home from a trip. While the symptoms usually are mild feelings of being dissatisfied with life, it might also include short bouts of crying after vacation has ended. Yes, it is real and a very common phenomenon. Plan extra days off before you return to work to stay at home to give yourself downtime. Ease into the daily routine, gradually. Keep your home neat and clean for the return. Coming home to a disorganized home will just add to your stress and misery. Start thinking about your next trip. Have your favorite dish from the vacation. Look at your photographs and videos from the trip and revisit some lovely moments. Nostalgia can enhance the mood. Hold on to your vacation memories by writing in a diary or a blog post. Find fun in your routine. Do whatever cheers you up. Explore the touristy destinations in your city. Make time for relaxation in your regular life. Focus on something new to do or learn. Be grateful for your vacation. 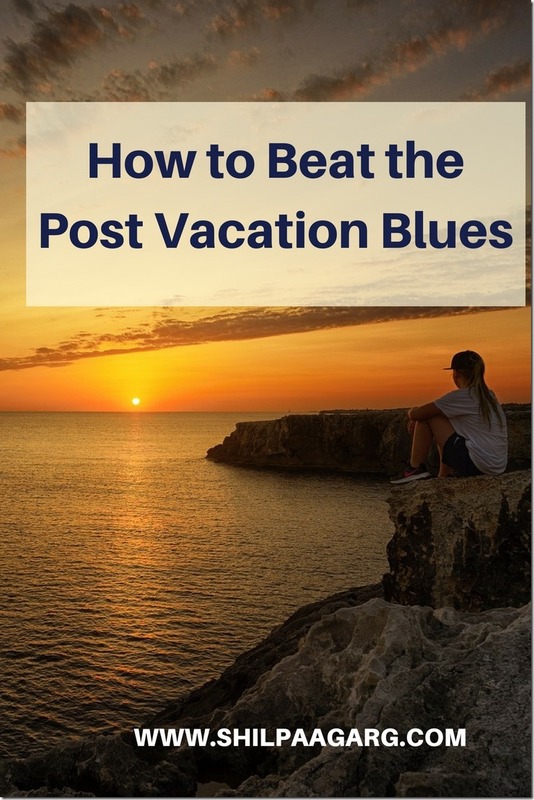 Have you ever suffered from post vacation blues? What did you do to overcome your post trip depression? We always joke that we have to go back to work to get some rest after a vacation. lol But good advice you have here. 🙂 I am sure many of us suffer from it. These are great points. Leaving home tidy for return actually helps immensely. When we return, we unpack all the things, tidy up everything… and then day dream happily about the trip, looking at the pictures. For many days after the trip we chatter and laugh about funny or unexpected things that happened there. To me, going to office after a hectic vacation is the best rest and relaxation. The best remedy for PVB is to go on another holiday;) . Honestly whenever I feel blue after a holiday, I flip through the pix or call up a friend I’d met while on holiday and recapture those happy moments. This happens to be after each holiday! Infact I get irritable and snap at people around too. Slipping into routine immediately helps me recover faster though. Your post should help a lot of people understand what Post Holiday Blues are and your great tips should help them deal with it. Oh dear – I’m just planning my summer vacation. I don’t want to think about post vacation blues. I find that I’m happy to get back home after the holiday because I also love my home, my job, my cats and my friends. 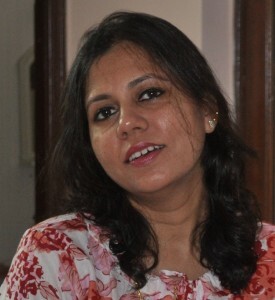 Nice post Shilpa – and great advice for people who are feeling sad. I usually feel lethargic after a trip. I feel tired and doing chores becomes an ordeal. I guess I should follow your suggestion and take few extra days off just to get rid of my tiredness. Thanks for sharing Shilpa. Travel blues, you are right can weigh you down but you will be surprised dear as much as I love yo travel, I equally love to get back to my bed. O how I love it . Sinking in it actually saves me. Absolutely true pointers, i do leave 2 days extra after trip to relax in my abode, its true ghar ghar hota hai. Relaxing on trip & then returning to daily chores sometimes is boring. Post-vacation blues for me are more about long sighs that it’s over and I can get back to my real life! I do like traveling but there’s so much uncertainty with it! No place like home indeed, but for the workaholic me no place like office to beat any sort of blues away. Just what I need this week– I’m suffering from post-break blues!